Lazies, Welcome to my stop on the Faded Memories blog tour. I’m excited you are here, let’s get started. Meet my Becca Bags design. 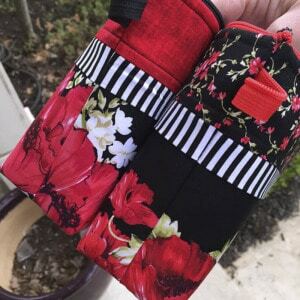 These two cute zippered pouches offer design opportunities at every step during construction. Take a minute to notice all of the prints, colors, and fabrics. 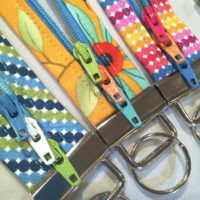 Don’t miss the zipper color and the zipper pull color. Together, each of these decision points add up to a composition. 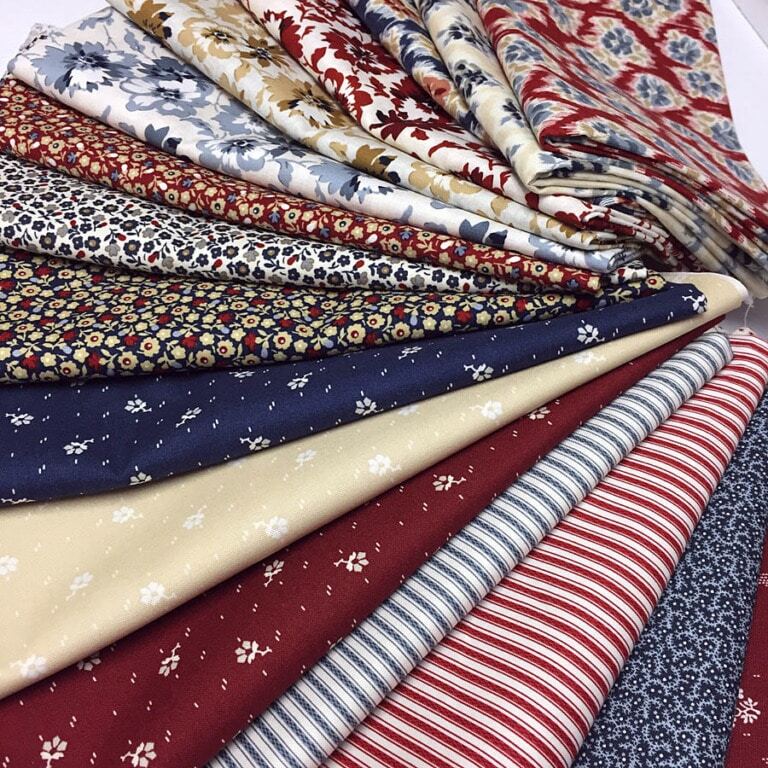 It’s like selecting fabrics to make a quilt block or articles of clothing/accessories for an outfit. Subscribe: Sign up in the pink box to the right for more Lazy goodness. I love the variety within this line. Gerri Robinson of Planted Seed Designs created a rich mix of visual textures, scale and color in her Faded Memories line for Penny Rose Fabrics. Gerri is a sweet friend of mine and she’s local, too! I’ve been following Gerri’s career for years. She is an accomplished author and designer. If you’ve had a chance to meet Gerri, you were likely taken by the way every bit of her smiles. 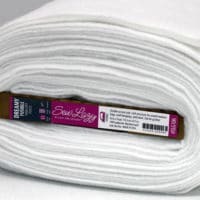 For me, she shines through in this fabric line. Stripes are action players – they are going somewhere. Small prints are like the confetti or glitter at the party. The feature prints are the celebrity you want to meet. Together you have all the ingredients for a good time. 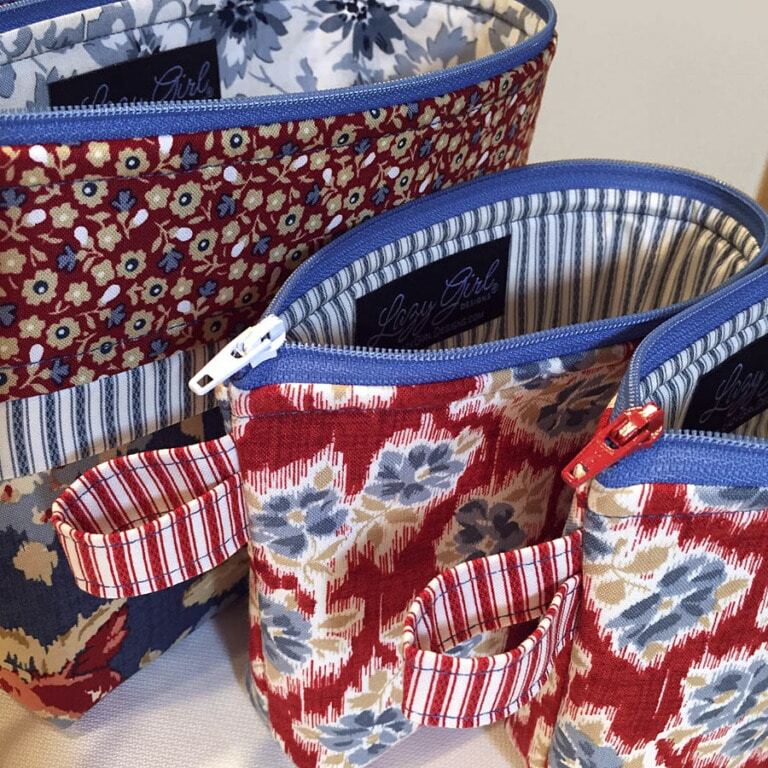 Many of my designs use 3-5 fabrics so it’s easy to pull a few things together and get stitching. So look who came out to play and became a party of my Becca Bags design. I like it when the selvages line up when strips are sewn together! 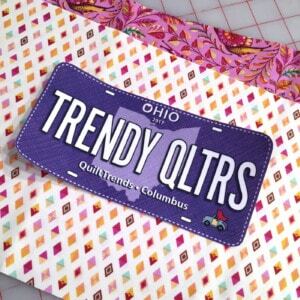 The stripe is perfect as the flange and grab tabs. 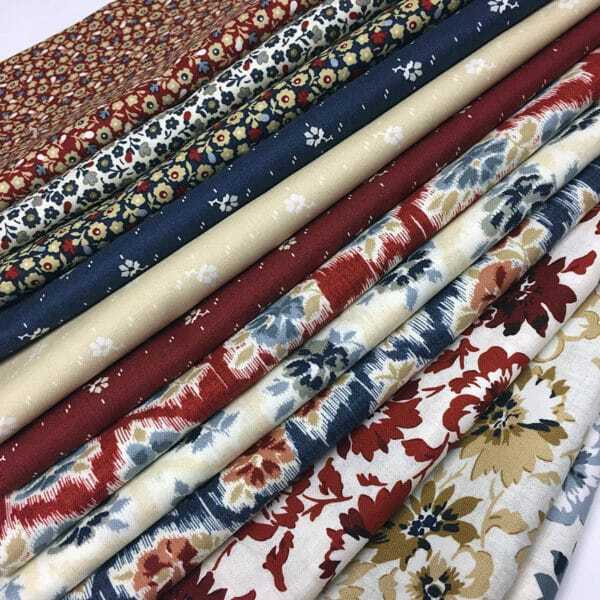 Our celebrity feature print takes the spotlight with the largest part of the design. Our confetti and glitter round out the production perfectly, coming together at the zipper for great contrast of color and scale. 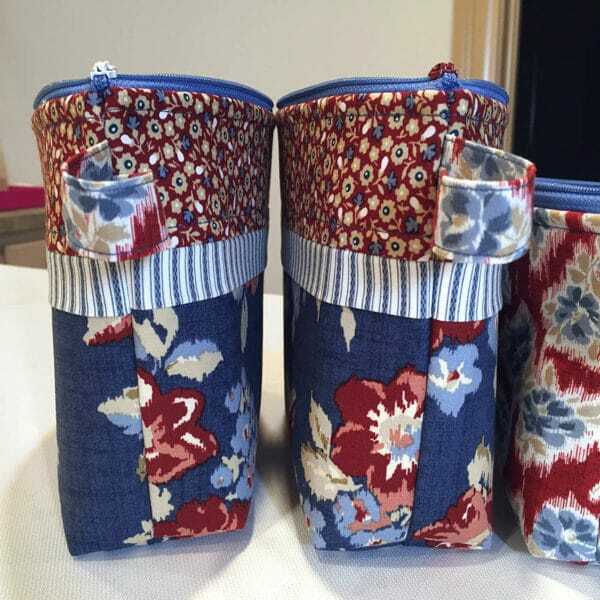 This fabric trio has nice visual balance and diversity. Remember, the Becca Bags design uses our One-Zip zipper technique where one half of the zip goes in straight and flat. 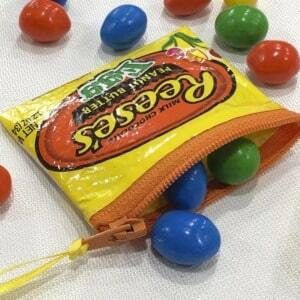 Then we bend the bag and use my Easy-On trick to put the zipper pull on. 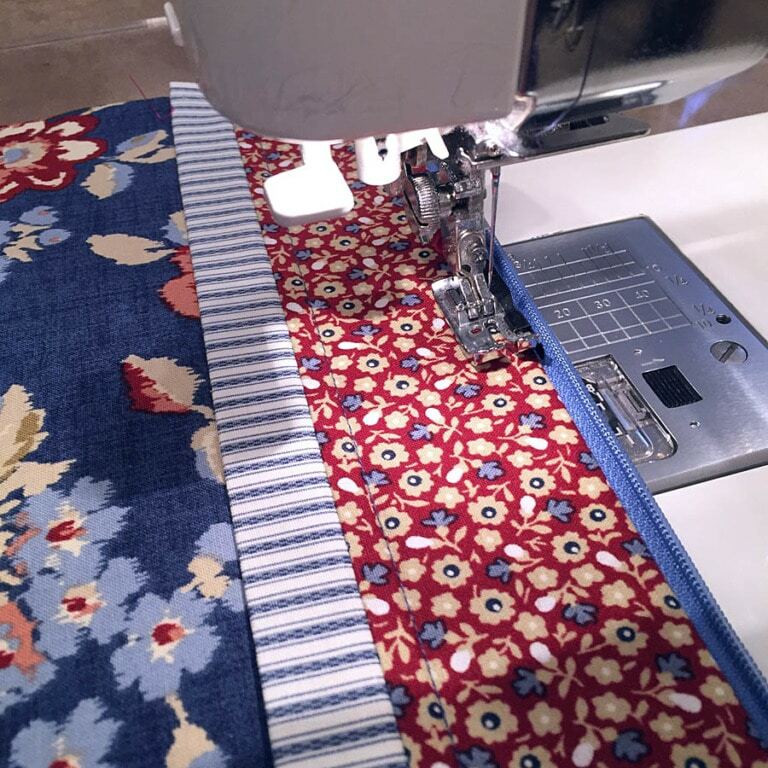 Here I’m using a 1/4″ foot to keep my stitching an even distance from the zipper. 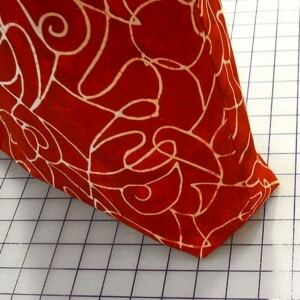 The view (below) of these bags and this seam is where all the detail comes together. It’s the busiest and most visually interesting part of a project like this. I’ve added a fabric grab tab in this seam, and all the players join in the fun here. 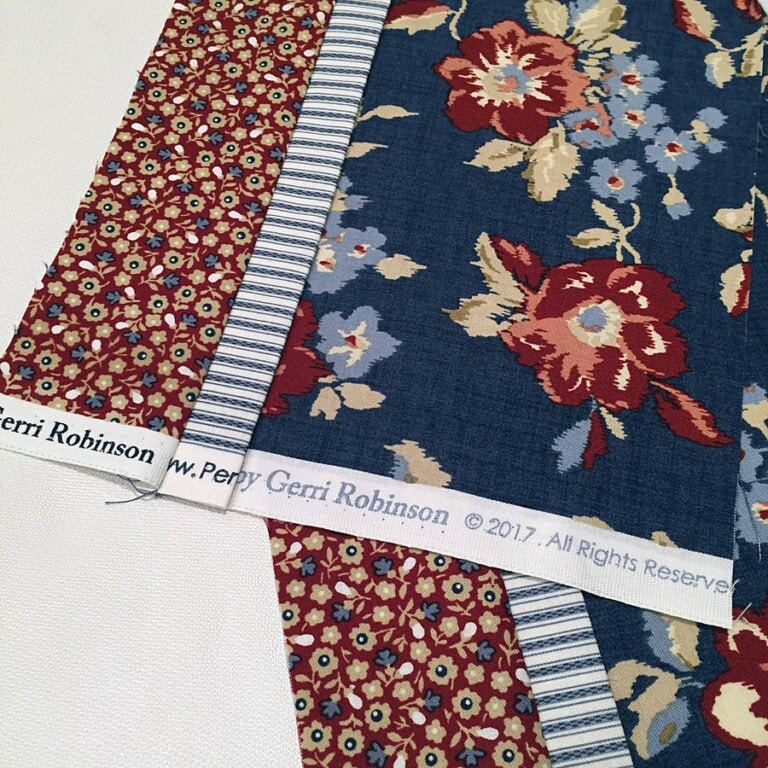 All the fabrics come together, the bottom corner is boxed, the zip starts here – this seam does the heavy lifting in this project. Finally, let’s take a gander inside Becca. Oh look, it’s another little friend, the small Becca. There are two sizes in the pattern. The inside of a bag is a new opportunity. The zipper at the top serves as a dividing line for the project. You can go wild or mild here. Coordinate and match the outside, or have a little fun and try something bold. 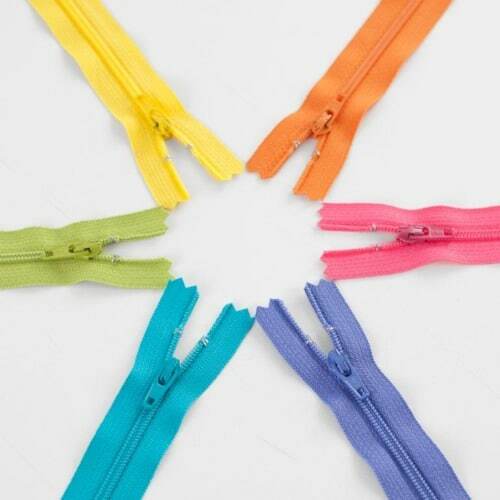 Don’t forget to swap the zipper pull color, too! In many cases, you’ll see a bit of the lining and the outside of the project at the same time. Usually along the lines of the picture below. See what I mean? 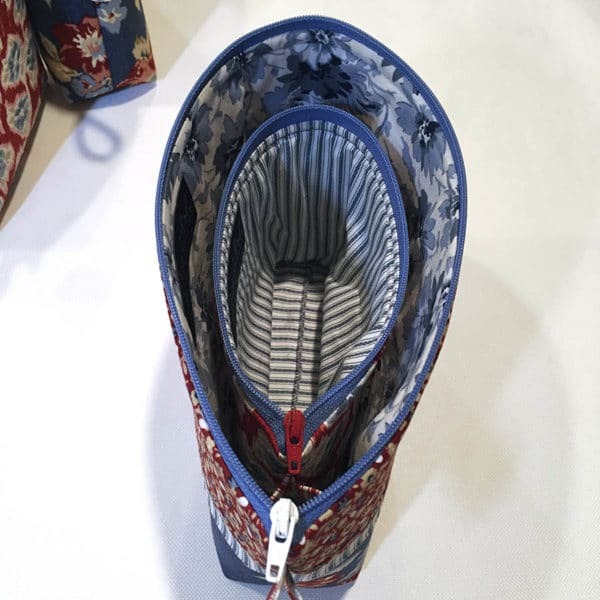 The inside adds to the overall experience, but it plays a different roll than fabrics located on the outside. For large Becca, the three outside fabrics work together as a team. They play nicely with the blue zipper. And the lining fabric works well with both. 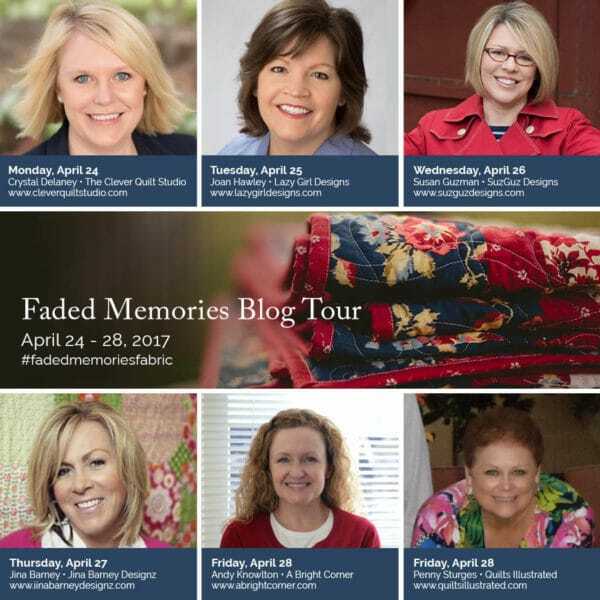 The beautiful Faded Memories line of fabric offers tons of possibilities for small projects like these. It’s a buffet of eye candy ready to stitch some fun. 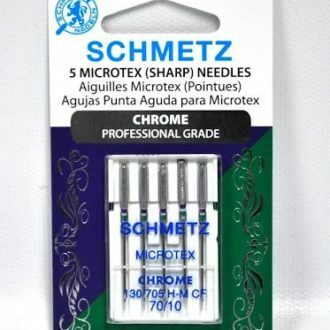 – Please like and share this post with your stitchy friends. – Subscribe to the Lazy Talk blog using the pink box in the sidebar. Tuesday, April 25 *You are here!!! Next Post » Meet Our New Pattern: Hang On! I love those zip bags. They have such great combinations of fabrics. I just bought 3 charm packs of Faded Memories last week. Will have to start piecing them so I have a large enough piece to make a Becca (and maybe a Pod or two!). I love Penny Rose fabrics! I love the combinations you chose! The zipper pulls really do add a pop. Help. I cannot, for the life of me, understand how the zipper is installed. Can you send me guidance/instructions on installing the one way zipper, please!!! 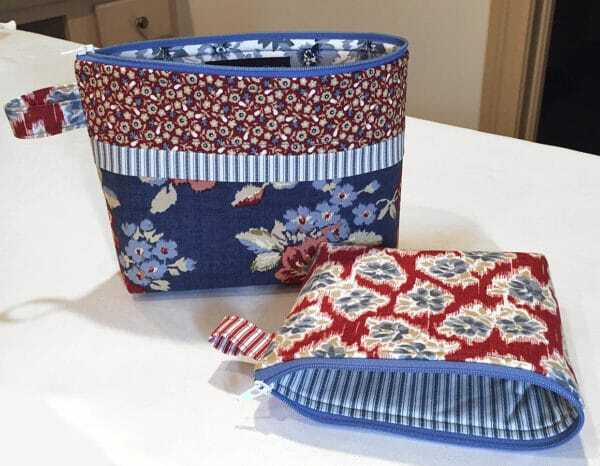 Hi Sandra, The instructions are in the patterns for the projects that use that zipper technique: Becca Bags, Sweetpea Pods, and Fobio. 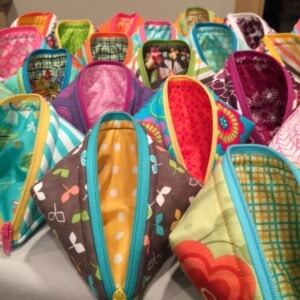 Cute pouches – thanks for the tip on putting patterns together! Your link for kayewoodtv directs to a general page with a link to buy the domain. I think the site is down. 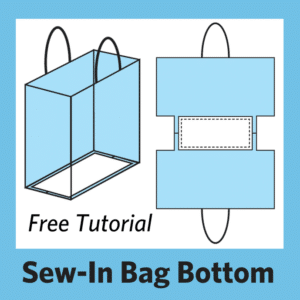 Also, where do I find video tutorials for your bendy bag and one zip technique? Hi Jackie, Join me in my Craftsy classes to make Bendy or the One-Zip projects! 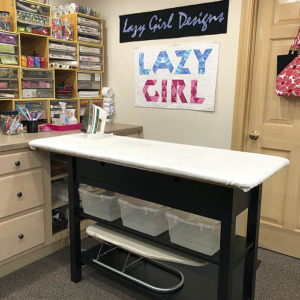 Here’s a link: http://craftsy.me/2mOsUG4 And thank you for letting me know about the broken link.